Tenet Healthcare, a US hospital operator, announced that it will acquire its rival Vanguard Health Systems for $1.73 billion. It would give it a better position to benefit from President Barack Obama’s healthcare reform. Investors expect revenue from hospitals to grow from treating more Americans insured under Obama’s healthcare reform law. There are speculations that major hospital chains’ acquisitions would improve the value of their stocks. Providers not only prepare for the healthcare overhaul, they are also coping with the slowdown in the use of medical services. Americans see their doctors less often and have fewer elective procedures as costs continue to increase. Tenet’s acquisition of Vanguard is expected to be completed by the end of the year. The US health overhaul will be implemented fully next January. The combined company will become the second biggest for profit hospital operator in the United States. It had total revenue of around $15 billion last year, which is below the leader HCA Holdings but above Community Health Systems Inc. 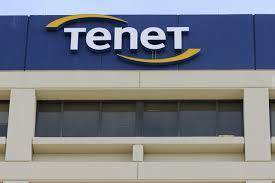 In 2011, Tenet managed to fend off a hostile takeover from Community Health. With its purchase of Vanguard, Tenet will have advantage in negotiations with managed care providers, medical device makers, and drug companies. This would also result to lower overhead costs. Tenet said that the acquisition would give its total number of hospitals to 79 and outpatient centers to 157. It would be number 1 or 2 in 19 vital markets, including South Texas and San Antonio. Tenet Chief Executive Trevor Fetter said that the acquisition is the start for more deals in the near future. In the past eight year, it has bought only one hospital. He said this would be a turning point for the company. Aside from the healthcare reform, the low borrowing costs has helped the recent consolidation in the hospital sector. The factors made it attractive for the market to be more active in acquisitions.